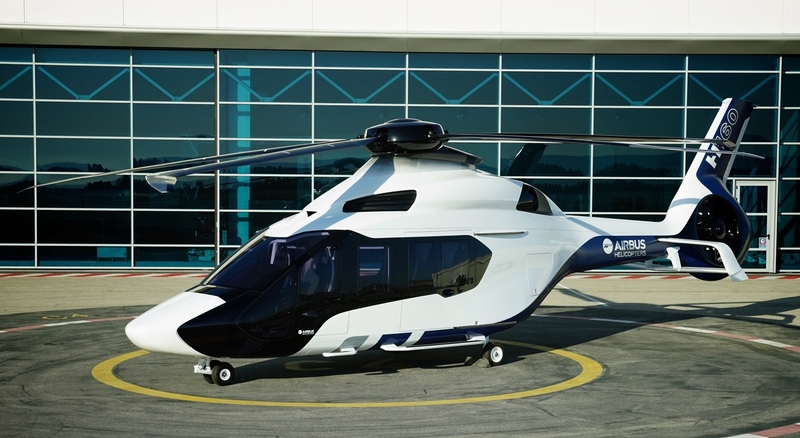 Airbus Helicopters’ highly innovative H160 flew for the first time in Marignane on Saturday, 13 June, shortly after beginning its ground runs end of May. The aircraft flew for about 40 minutes in ground effect that allowed the flight test team to check the overall behavior of the aircraft and to verify the measurements. «The first flight was very promising in terms of stability, vibrations, and sound levels», said Olivier Gensse, the flight test pilot, upon landing the Airbus aircraft. The flight test campaign has now been launched and the next flights will begin to open the flight envelope progressively. The new aircraft already reached 130 knots/150 mph/240 km/h during the second flight on Wednesday, 17 June. «We are very proud that the H160 has reached another milestone on time», said Bernard Fujarski, head of the H160 program. 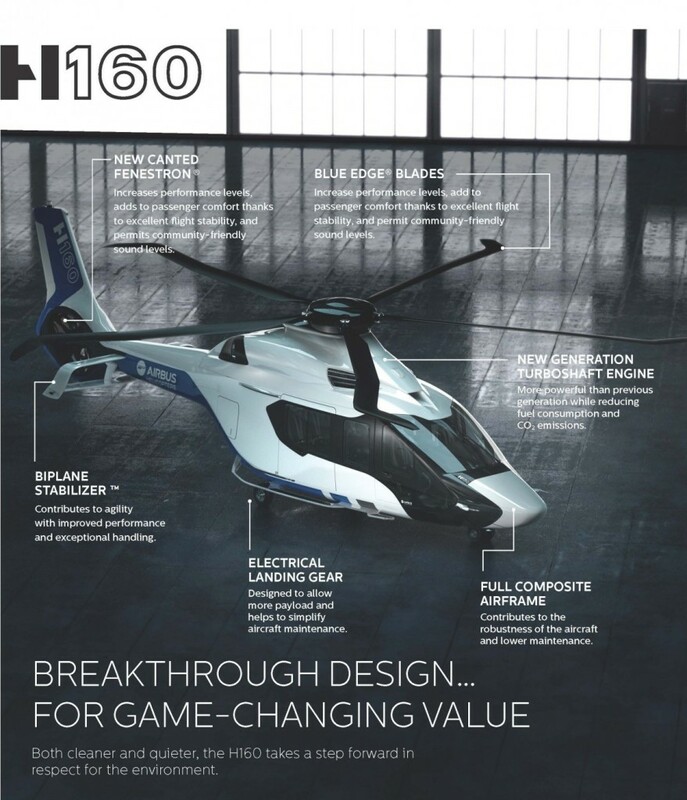 «The dedication of the team working on the program has paid off and we are all looking forward to the final development phase to bring this highly anticipated helicopter to the market». In order to complete this final development phase and to ensure the H160’s entry into service in 2018, Airbus Helicopters is relying on three dedicated prototypes and two helicopter zero integration test means. The first prototype will pursue its flight test campaign, including its first hot weather flight tests planned for this summer. The second Airbus prototype performed its first power-on 12 June. The H160 opens a new chapter in the history of Airbus Helicopters. Joining the product range between the H145 (formerly EC145) and the H175 (formerly EC175), this innovative medium helicopter becomes the first new member of the H generation. The entire design was based on one overriding goal: to create added value for customers in terms of performance, economic competitiveness, safety and comfort. Both cleaner and quieter, the H160 takes a step forward in respect for the environment. Configurations being developed include offshore transportation, business and private aviation, public services, and commercial passenger transport. The H160 was unveiled at the Heli-Expo trade show in March 2015.